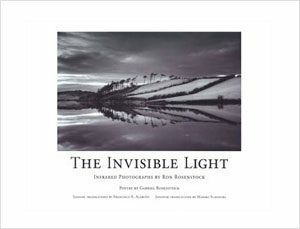 Not only is such a photograph an interpretation of the light that falls on the original subject matter, it is also a magical combination of that quality of light and the delicate balance achieved by light and dark areas in the image. 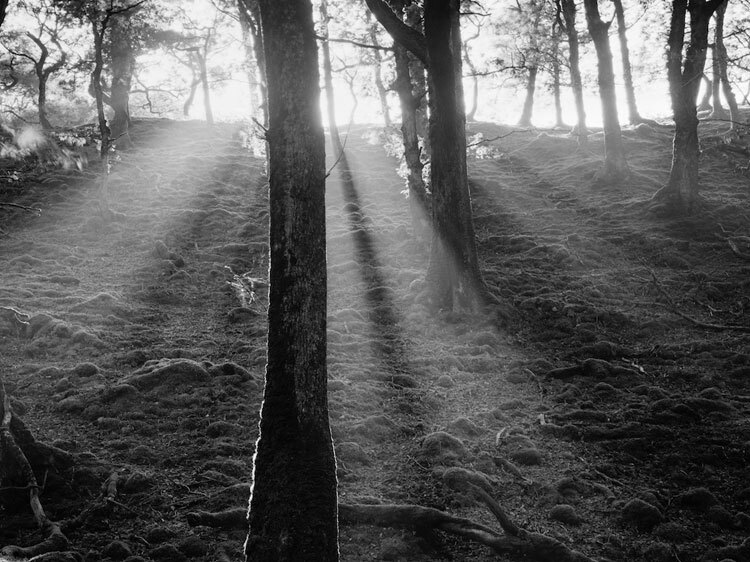 Perhaps there exists an ancient formula for the proportions of light and dark areas within an image required to evoke in the viewer a profound depth of meaning. As with other forms of art through the ages, photography can connect us with this deeper meaning. Each of us seeks a direction in life without knowing the final destination. As artists and seekers we are drawn by a creative force to the Light within and so begins our life’s journey. As viewers of art, we open ourselves to connecting with meaning and spirit. The word “light” has been used since language was first used. Scientifically speaking, it refers to the electromagnetic spectrum or wavelengths. The visible spectrum is between 400 and 700 nanometers and a colour range of violet through red. Wavelengths can be accurately measured far beyond the visible spectrum. Infrared has a longer wavelength than visible red light. 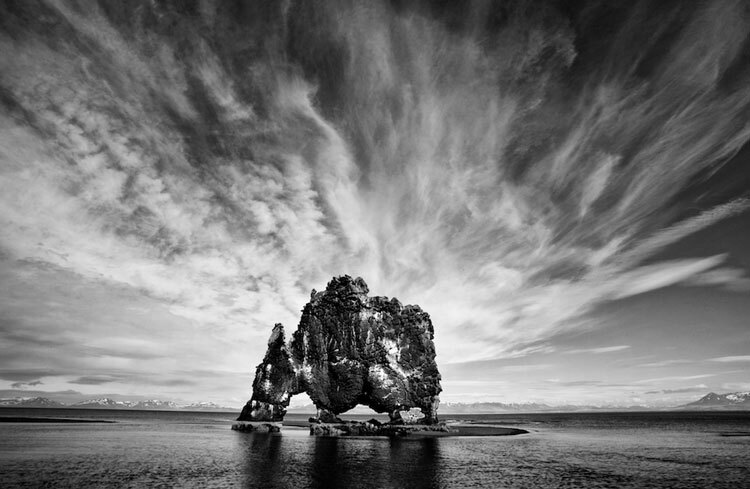 An infrared photograph is made using a combination of visible and infrared light. 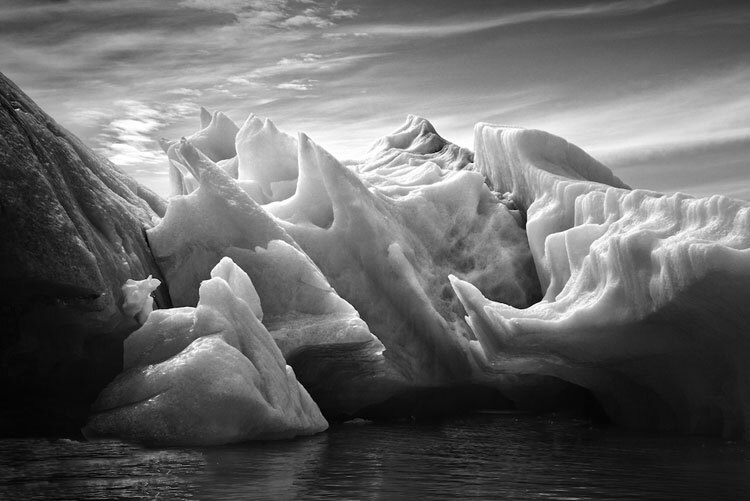 Ron Rosenstock, Ice Forms, Tasiilaq, Greenland, 2015. For me, infrared photography is on the border line, the veil between the known and the unknown. My work doesn’t pretend to be documentary or abstract or to make a statement of any kind. It is a search as to what is beyond the doorway of perception. What draws me, what speaks to me, is a mystery. I know something is calling me. It’s all part of light, as is the word “enlightenment”. Throughout history, from our earliest beginnings, there have been stories of near-death experiences where people who have been brought back have experienced being drawn to a very bright light. I believe there is far more unknown about light than there is known. My infrared photographs are an attempt at gaining deeper insights into my own true nature and the true nature of what is. 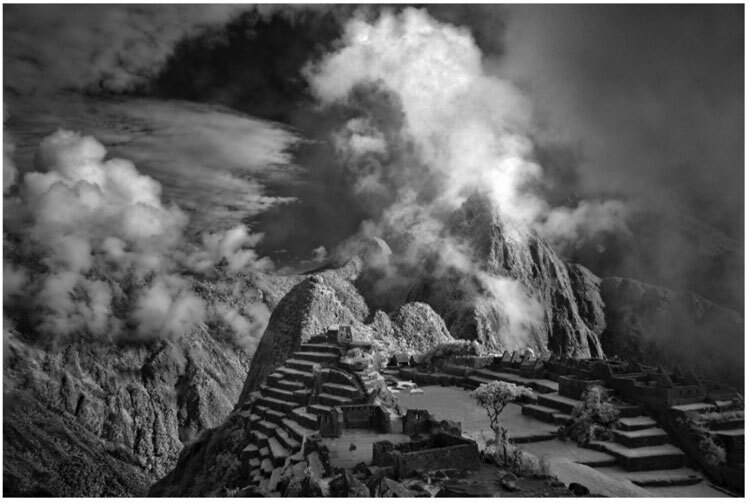 Ron Rosenstock, Mist Rising, Machu Picchu, 2013. 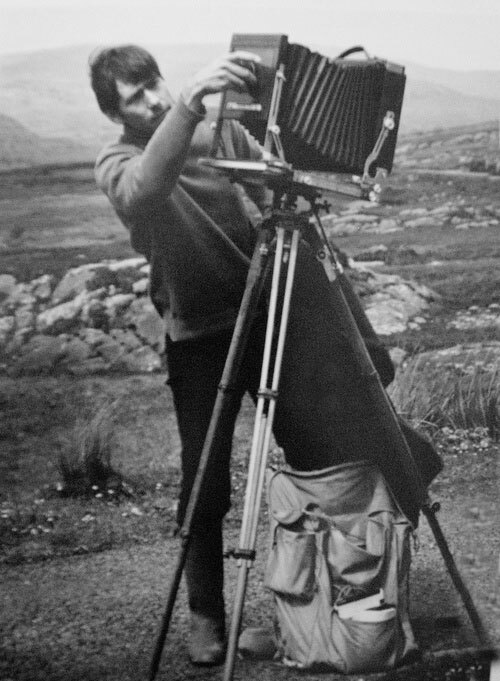 For many years, people have commented about my wonderful life, travelling all over the world making beautiful photographs. The truth is … I am a missionary. My mission is to be one of the caretakers of our world. I will work at this mission by raising the awareness of as many people as possible. Awareness of how beautiful and important our planet is. It is a living, breathing organism. The American Indians knew this fact over a thousand years ago and taught it to their children. Because there are so many of us now living in this technological era of rapid change, we must not only think of the earth as “mother earth” but also as brother, sister, mother, father and lover earth. We won’t make it without her support and she won’t make it without ours. She speaks to us in many languages. The language of wind, rain, birdsong and a silence so profound, it encourages us to reach into the transcendental to seek the source of that silence. Ron Rosenstock, Hvítserkur, Iceland, 2008. My desire is to reach as many people as possible and convert them into also being a caretaker. On the one hand, it doesn’t take much convincing. Watching the golden leaves fall like snowflakes, watching the waves, listening to nature, sensing nature, all stirs within us the call; the call to join with nature and recognize our true selves. My way of reaching people is through my photographs. Raising consciousness occurs at the moment of recognition.